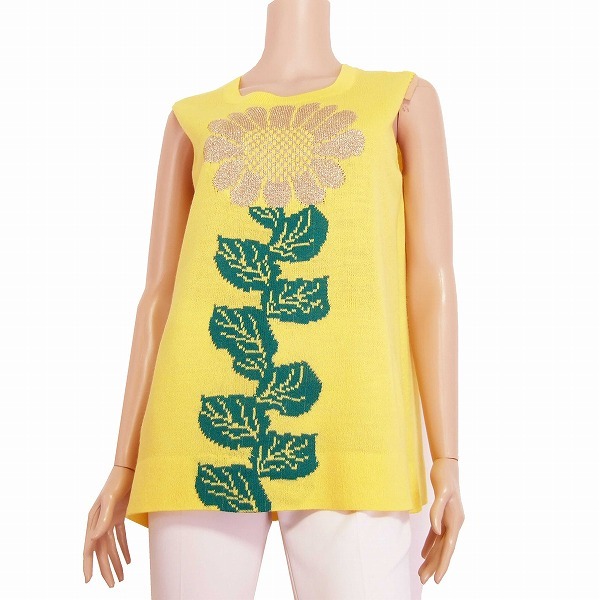 *It is the wonderful beautiful woman tank top that the state of the sunflower brought up on a good-quality knit material of the smooth feel, a front part quickly and healthily was designed. 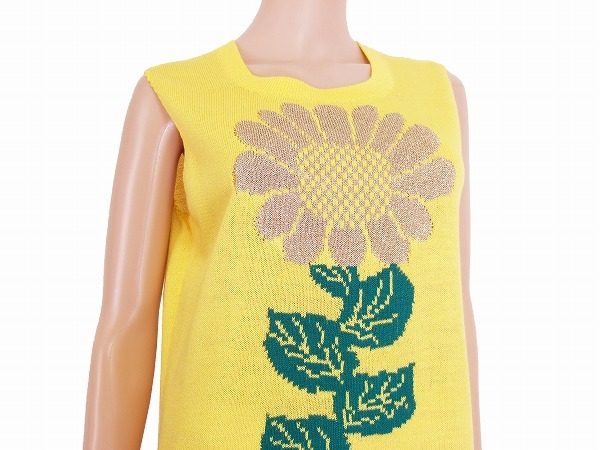 As the lam is knit into a sunflower part together shiningly, I attract eyes more! 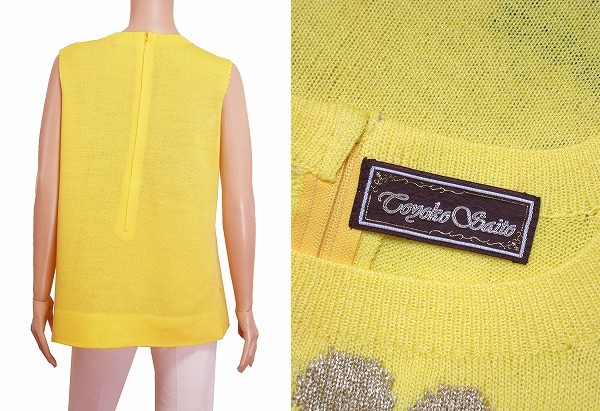 How is beautiful woman tank top, the right or wrong that the design with the impact like the Miyako Saito heir is wonderful? The background part is a fastener specification. ★[material]*(table) there is not a material tag, but think that is nylon acrylic system material. ★[size]*There is not a mention, but thinks that it is an article of the 11 equivalency.